This lime tart is so delicious and surprisingly easy to make. 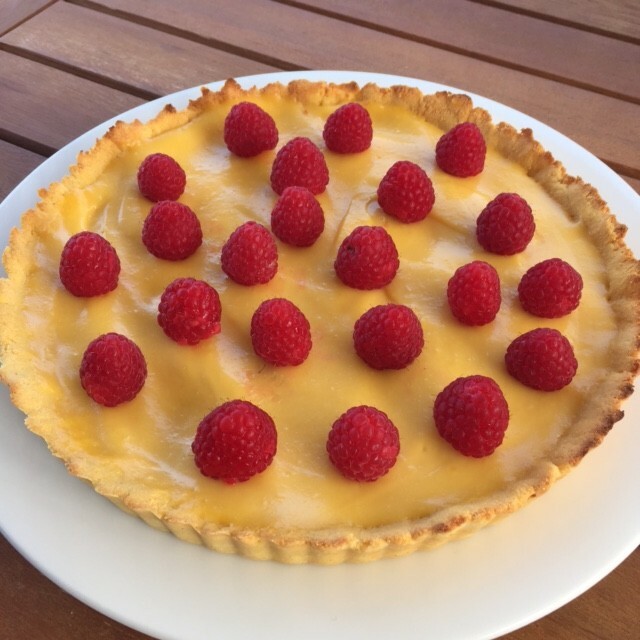 I have always shied away from any Paleo recipe that requires a shortcrust pastry, thinking it would be near impossible to create it without the traditional ingredients. I was pleasantly surprised with the results of this yummy tart and it will definitely go on my repertoire. 2.For the crust; in a large bowl add melted coconut oil, eggs, honey & salt. Mix with a fork. Add coconut flour and mix until dough starts to form. It will seem too wet at the beginning but the coconut flour will absorb a lot of the moisture quickly. 3.Gather dough into a ball and transfer to a 30cm tart pan with removable bottom. Using your hands, spread dough in the pan as evenly as possible, pressing into and up edges. Prick bottom with a fork. Bake for 9 minutes or until edges are golden (mine took 13 mins). Remove from oven and set aside. 4. While crust is baking, prep lime curd. In a small pot, whisk eggs, honey, lemon juice, zest and a pinch of salt. Add butter and turn on the heat on medium-low. Cook, whisking constantly, until curd thickens, about 8 minutes. Strain curd through a sieve and pour onto prepared crust. Let cool slightly and refrigerate for at least 2 hours. 5. Serve with double cream & fresh raspberries. Mouth watering recipe..I can almost taste it…will find the ingredients and bake it!!! Its so hard to find easy to make Paleo recipes! We love this one!